The following is part II of our look at emergency stays in the Supreme Court. To read part I, click here. It has been more than 14 years since Haynes killed Officer Kincaid, 10 years since we denied Haynes’s first petition for certiorari, see Haynes v. Texas, 535 U. S. 999 (2002), and six months since we denied his second, see Haynes v. Thaler, 566 U. S. ___ (2012). Haynes is now back before us a third time, arguing that he received ineffective assistance from his trial counsel. Whether balancing all of the interests in a case argues for a stay. Haynes presents no plausible claim for relief. His complaint is that his trial counsel was ineffective at sentencing. The absolute most to which he would be entitled under Martinez is excuse of his procedural default of this claim, enabling a federal district court to adjudicate the claim on the merits. But that is precisely what the District Court already did on federal habeas review. Jun 3, 2013: Motion to proceed in forma pauperis and petition for a writ of certiorari GRANTED. Judgment VACATED and case REMANDED for further consideration in light of Trevino v. Thaler, 569 U.S. ____ (2013). The Court “GVR’d” the case, which means it granted certiorari, vacated the decision below based on Supreme Court precedent, and remanded back to the Fifth Circuit without hearing oral argument or deciding its merits. In a July 28, 2014 opinion, Justice Clement of the Fifth Circuit further remanded the case to district court to reconsider Haynes’s ineffective counsel allegations. The case is still pending in the Southern District of Texas. 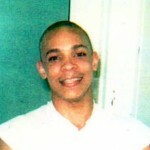 Haynes remains on death row with roughly 270 other Texas inmates. At the end of 2012, there were more than 3,000 inmates on death row nationwide, and the average inmate had spent about 14 years under a death sentence, according to Justice Department figures.